The Bensalem Township School District Board of School Directors is pleased to announce that it has reached a tentative six-year Collective Bargaining Agreement (CBA) with the Bensalem Township Educational Association (BTEA). The contract was ratified by the BTEA membership on April 16th and will be considered by the Bensalem Township School Board at its April 24th meeting. The meeting will take place in the auditorium at Bensalem High School. On Friday, April 12th, the Bensalem High School Jazz Band traveled to perform in the Cavalcade of Bands Jazz Championships. 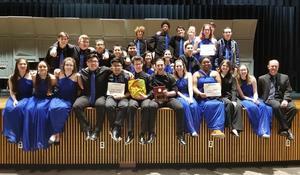 Each band competing earned a spot in the show during the season, by competing in a minimum of three Cavalcade sponsored jazz festivals during the 2018-19 season. Students from the Class of 2018 talk about their experiences at Bensalem High School: How BHS helped them become the person they are today; The best thing about BHS; How BHS helped them get where they are today; How BHS helped them achieve their future goals; What they loved about attending BHS and more. 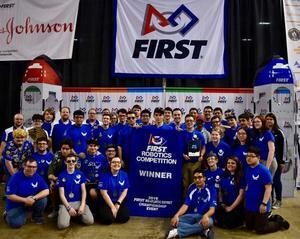 Bensalem High School’s Robotics Team, The Fightin’ Robotic Owls, competed at the FIRST Robotics Mid-Atlantic District Championship at Lehigh University where they finished 5th out of 128 teams and qualified for the FIRST Robotics World Championships in Detroit, Michigan. Congratulations to the B3T Unity Week essay winners from Robert K. Shafer and Cecelia Snyder Middle Schools! These talented students were recognized at Bensalem Township's Council Meeting on Monday, February 25th and at our School Board meeting on Wednesday, February 27th. They are: Mahi Patel; Teniola Onilari; Zamaya Neal-Davis; Aubrei Mason; Leah Smith; Juliette Macare; Angelo Semon; Edwin Lackey; Hailey Mills; Maria Davis; Mika Sit; Alivia Mercado; Keelyn Fitzgerald (Honorable Mention); Dana Aker (Honorable Mention); and Amanda Shappell (Honorable Mention). Their essays are attached. The 76th annual Pennsylvania Junior Academy of Science (PJAS) regional competition was held at Cecelia Snyder Middle School on Saturday, February 23, 2019. Over 350 students from Philadelphia and Bucks County presented their independent scientific research to professional scientists and educators in this regional fair. Students had their choice of creating a purposeful science experiment, exploring a mathematics topic above their current range of study, or exploring technology with a Computer Science or Engineering project. See flyer for more information and to order tickets. Benjamin Rush Elementary School has been designated for the Opportunity Scholarship Tax Credit Program. Please see attachments. Tour our middle schools in a relaxed, open house atmosphere. Staff, parents and students will be available to answer questions about joining our school families with info on curriculum, extracurricular activities and sports. Children are welcome. 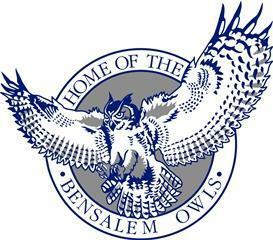 To find which school serves your home, visit www.bensalemsd.org or call 215-750-2800, ext. 4047.